Peter Dalla Riva is one of the greatest all-time receivers in the Canadian Football League (CFL) with 54 touchdowns while playing with the Montreal Alouettes. He moved with his family from Italy to Hamilton when he was seven years old and dropped out of school after Grade 7 to help provide for his family. While working in a steel mill, Dalla Riva started playing football in his spare time. He played a season with the Oakville Black Knights, where he met Vince Scott, a player for the Hamilton Tiger Cats who recommended him to the CFL. He was offered a contract to play with the Alouettes in 1968; he played with the team for 14 seasons, an all-time record for the Alouettes. He helped the team win three Grey Cups, and was awarded the All-Canadian tight end three times. Dalla Riva retired in 1981 with 450 receptions for 6,413 yards. 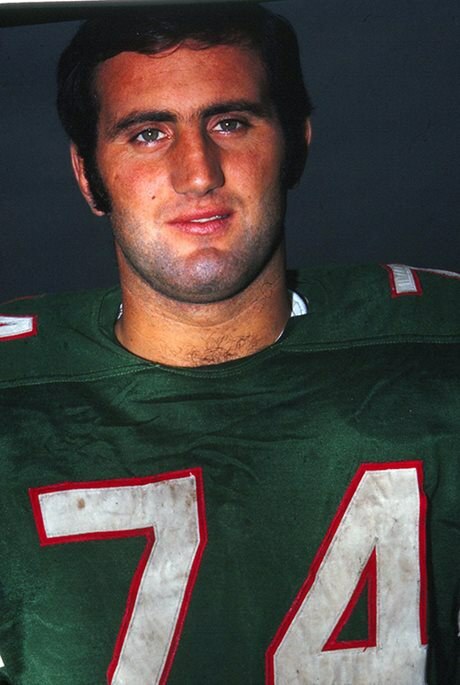 Read Dalla Riva’s biography from his induction into the Canadian Football Hall of Fame. Learn more about Dalla Riva on the Canadian Football League website.